Quikwood repairs, rebuilds and restores any wood. Will not shrink or pull away. It contains no solvents. Hardens in minutes. Can be drilled, sanded, sawed, painted or stained. 7” long. This is a favorite among carvers. It is used for setting eyes and making feet. 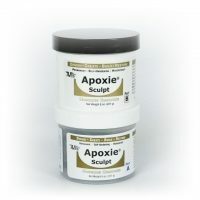 Comes in a one pound, 2 part epoxy package.